In the only game in the Legends Classic on Wednesday, Notre Dame placed six players in double figures in downing Seattle, 92-49. V.J. 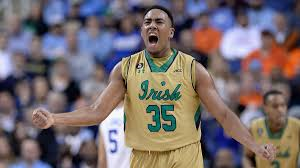 Beachem and Bonzie Colson paced the Irish with 16 points apiece, with Colson hauling down eight rebounds. Steve Vasturia and Matt Farrell netted 13 points each, Rex Pflueger had 12 points, and T.J. Gibbs recorded 11 points and five assists. As a team, Notre Dame was 15-of-34 from three-point range. Matej Kavas was the lone Seattle player to reach double figures. He had 11points. The Legends Classic continues on Thursday at 8:00pm (ET) when Texas hosts Eastern Washington on The Longhorn Network. At 9:00pm ET, ULM is at Colorado on the Pac-12 Network.